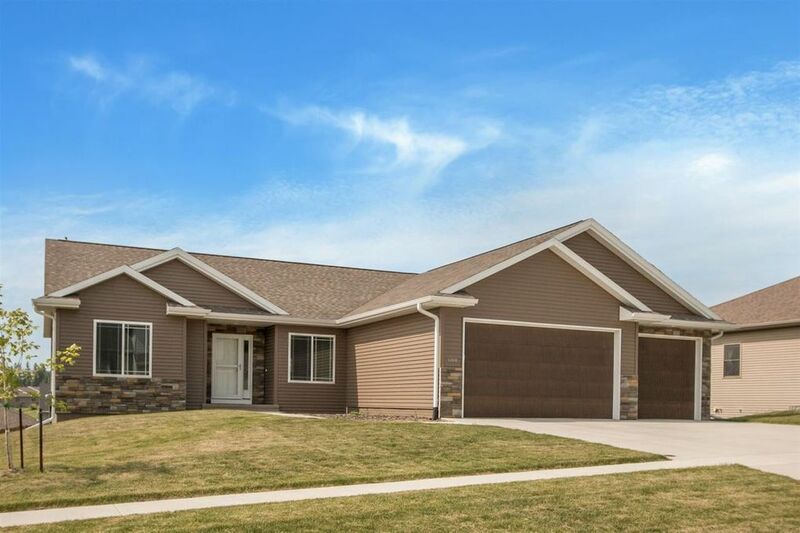 Wonderful custom designed and built walkout ranch in West Branch’s popular Pedersen Valley with all the latest finishes and just a year old! This tremendous open floor plan features a fantastic kitchen that boasts rich Espresso stained Maple cabinetry, mosaic glass tile back splash, granite counters, upgraded LG Studio appliance package, pantry, and a spacious island with breakfast bar; gorgeous hard surface luxury vinyl tile flooring through much of the main level and lower level; soaring high vaulted ceilings; cozy corner fireplace; laundry/mud room with built-in lockers and bench; luxurious master suite featuring an all tile floor to ceiling shower and 6x9 walk-in closet; sweeping walkout lower level family room; tray ceilings in each bedroom and granite in each bath room; dark stained trim along with white panel doors and brushed nickel hardware and fixtures; large cedar deck with stairs to the concrete patio; oversized 3 car garage (one side is 27 ft. deep!) wired for sound and plumbed for a garage heater; decorated with warm colors; Lennox high efficiency equipment and LED lighting throughout; attractive part stone front elevation; fenced yard; and great storage space! Directions: Main St. to Pedersen St. to Orange St. to Gilbert Dr. to Sullivan St.